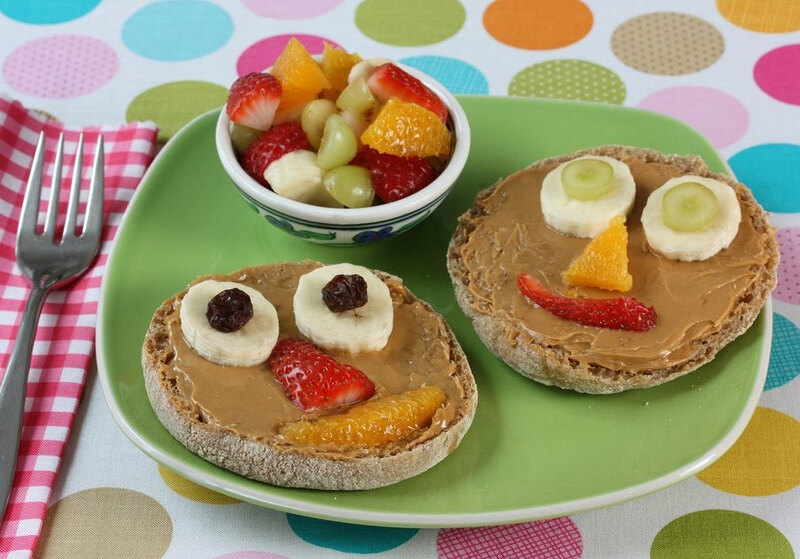 These adorable Peanut Butter Smiley Faces entice kids to eat a variety of super-healthy foods: whole grain English muffins, peanut butter, and naturally sweet fresh fruits. I’m all about having fun at snack and mealtime, and I know that when kids get to play with their food, they’re more likely to gobble it up. You don’t have to be a food stylist or an arts and crafty mom to make these Smiley Face English Muffins with your family. But a sense of humor certainly comes in handy. No formal recipe is required! You don't really need a recipe for these smiley faces. Just a willingness to have some big-time fun! And if you happen to have picky eaters at your table, I guarantee they'll gobble up every bite. Slice muffins in half and toast. While still warm, spread peanut butter on each toasted muffin half. 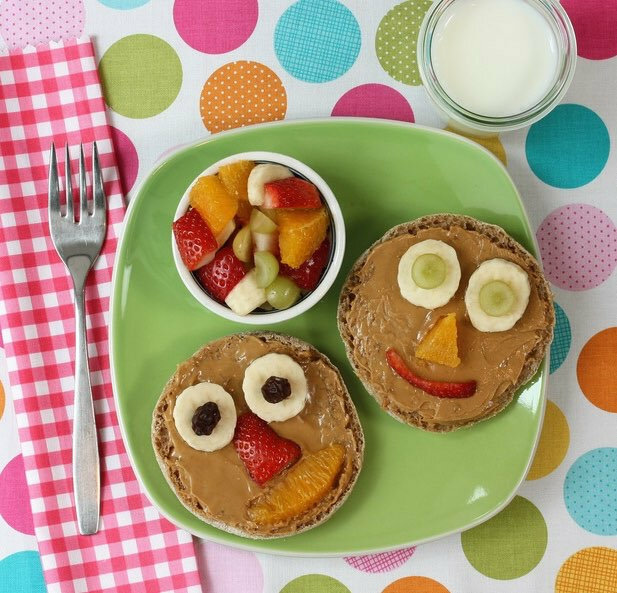 Top with fruit pieces to create smiley faces. Use banana slices, grape slices, or raisins for the eyes, half a strawberry for the nose, and one section of orange for the mouth. Use remaining fruit to make more faces, or serve on the side as a fruit salad. Serve as a lunch or snack with a glass of milk. 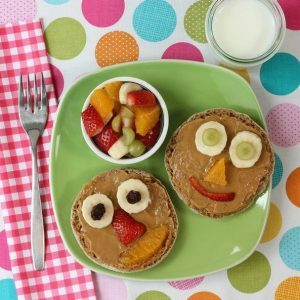 What’s your favorite food art that you like to make with your kids? Love this! I do a similar thing on whole grain waffles for breakfast!